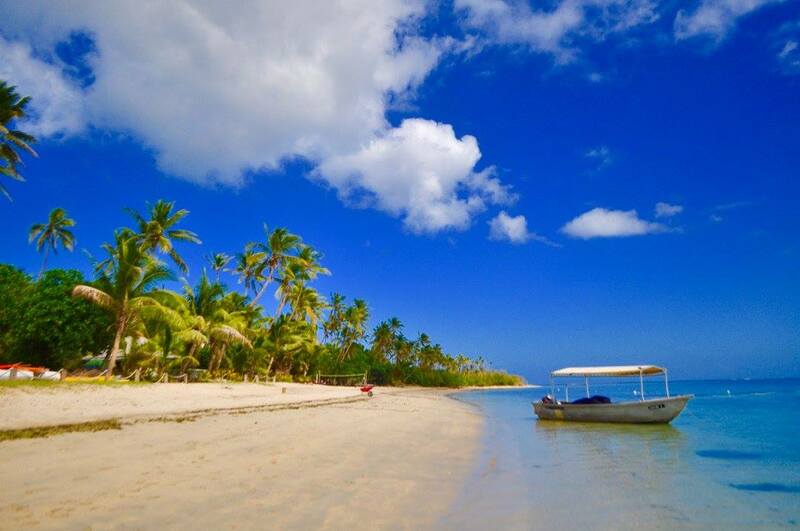 Discover the best Fiji with us! My Fiji is famous for offering ‘holidays in a box’—complete packages that show off the essence of this incredible natural wonderland. Our tours are the best of the best. They’re the perfect way to discover what Fiji has to offer and, best of all? They’re exclusive to us! Get out and do the things you can’t with anyone else. Join local tour guides for an insider’s perspective in the country’s villages, discover true paradise on our very own My Fiji Island, snorkel or dive into Fiji’s unique underwater playground or explore the outer islands on a cruise! Whether you want to immerse yourself in traditional culture or explore the stunning sites around the islands, our My Fiji Holiday Experts have hand-selected the ideal tour to suit you! Our My Fiji packages operate from the mainland, Viti Levu, and the outer islands on request. 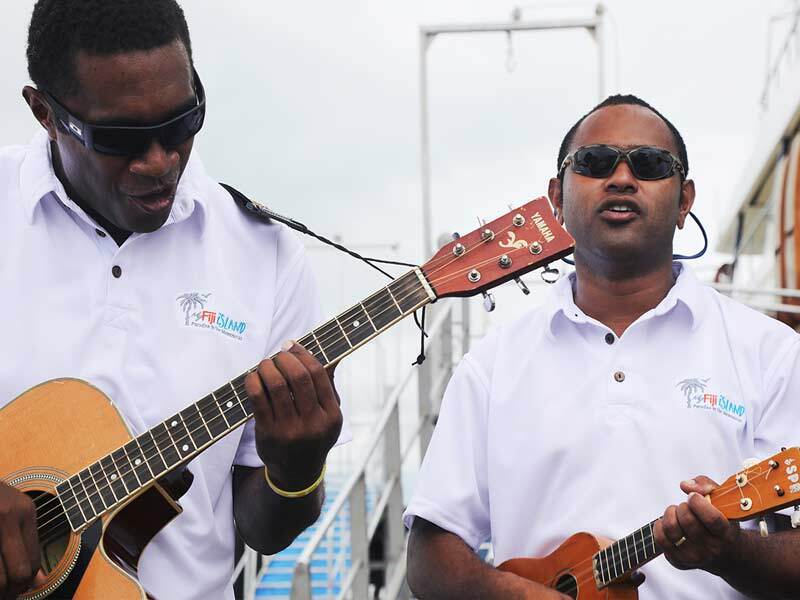 They can be added on to any My Fiji Holiday Package Deal! Read about our tours below or get in contact with our My Fiji Holiday Experts today! Embark on an exhilarating 2-hour voyage to the striking island of Kuata. Once you’ve been picked up from your hotel door in Nadi, you’ll depart from Denarau Marina aboard Awesome Adventures’ high-speed catamaran. A couple of thrilling hours later, you’ll arrive at the gateway to the Yasawa Islands, stunning Kuata! Be instantly imposed by endless white sand, evocative volcanic mountains and the famed Phantom Rock caves. 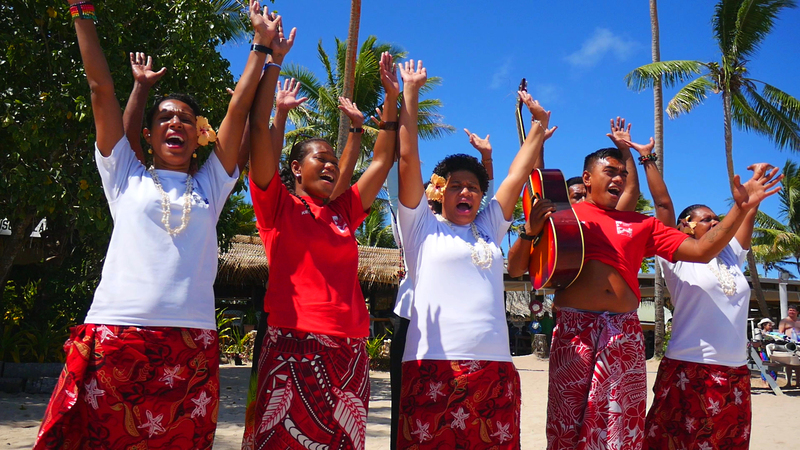 Delight in a traditional Fijian welcome (with wonderful singing!) and learn the low-down on the day’s tour from your friendly guides. With 5-hours to swim, kayak, hike and explore, you’ll make lifetime memories on this magical island. At lunch, satisfy your worked-up appetite with a delicious, fresh buffet barbecue accompanied by a well-earned beer or cocktail from the bar. Once you’ve experienced Kuata Island’s beauty in its entirety, you’ll cruise back to your hotel at 4pm, content and full of inspiration! Go all out and experience ultimate adventure with the optional reef shark diving or snorkeling! 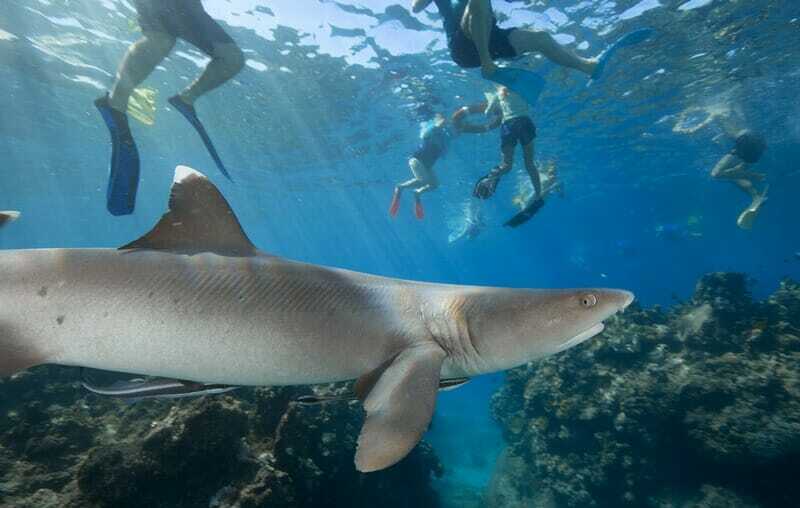 The Reef Shark Snorkel Day Trip includes all of the above plus an epic snorkeling session through the spectacular Mouira reef, home of the reef sharks! After being fitted with your equipment, a 15-minute boat ride will take you to the crystal-clear waters of your destination. From here, a safety brief is all that separates you from an extraordinary experience. These sharks are nothing short of majestic. The Whitetip and Blacktip reef sharks are like the poodles of the shark world – they are stunningly graceful creatures and will change your perception on sharks forever. Take it all in as your marine science team excites you with their wealth of knowledge about these animals. 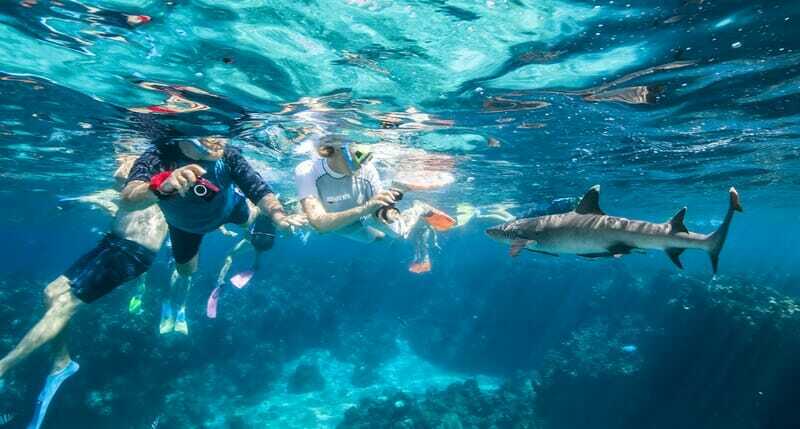 Like the Reef Shark Snorkel Day Trip, this optional tour also includes all of the perks involved in the standard Kuata Island Day Trip, plus the lifetime opportunity to complete an introductory dive either from the shore or with the reef sharks! After a safety briefing, the trustworthy staff will guide you in waist-deep water so you’re able to get comfortable with breathing in your equipment and learn the main tactics involved with diving. The general depth of an introductory dive will range between 1 and 6-metres, depending how confident you feel. Your patient and experienced instructor will then lead you out to the stunning reef and show you some of the most magnificent marine life in the world, naturally including the reef sharks! Contact our My Fiji Holiday Experts for more information now! PLEASE NOTE: If the tour is cancelled due to inclement weather conditions a final call will be made at 8am on the day of the tour. Cancelled tours will be rescheduled to the following day or when the weather is deemed safe. Malamala Beach Club: One Of A Kind! Sun, sand and private island luxury—discover the world’s first island beach club exclusively with My Fiji! Malamala Beach Club is the first of its kind. 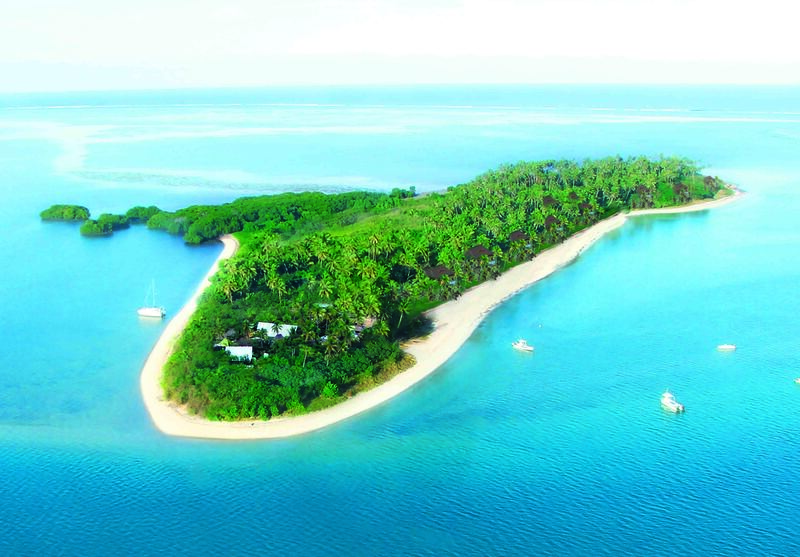 Set in the stunning Mamanuca Islands, just 25-minutes from Port Denarau, this exclusive beach club is the best way to appreciate the natural wonders of Fiji! Private cabanas line the edge of pristine white beaches and a resort-style infinity pool looks out over crystal clear waters. Select from an array of specially curated cocktails and feast upon Pacific-inspired meals. Wherever you look, dedicated My Fiji hosts will be there to wait on you—all you need to do is sit back and relax to the sound of laid back club tunes! All cruises are subject to sea and weather conditions. Should adverse conditions prevent operation, alternative cruise or appropriate refund no greater than the fare paid will be offered. ** If you wish to visit Malamala Beach Club again during the 7-days, additional transfers can be purchased. You can book your next visit while on the island, at the Check-in Centre in Port Denarau or call the local reservations number: (679) 675 0500. 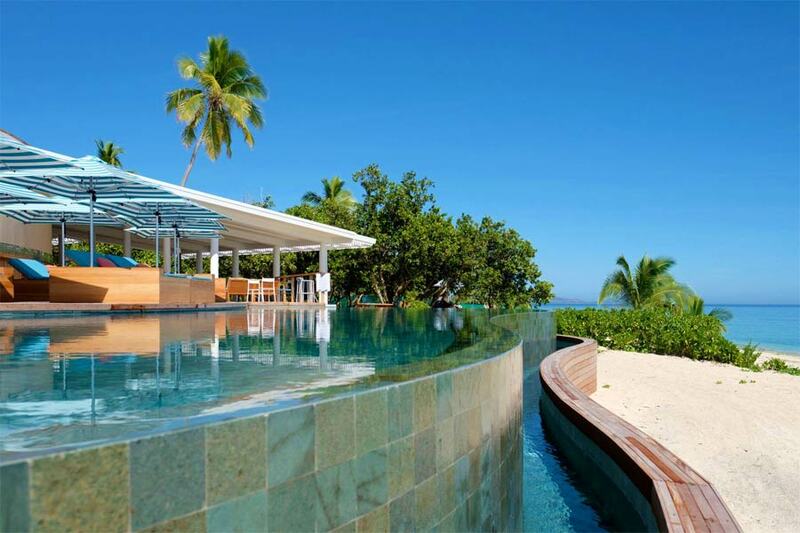 Be amongst the first to experience Fiji’s newest, and the world’s first island beach club. With this exclusive My Fiji experience, you’ll enjoy up to 7 days of Malamala Beach Club access, allowing you to unwind in ultimate style. Spend your days on the My Fiji Deck. Close to the infinity pool, the beach and the main restaurant, The Deck is kitted out with plush beanbags and deckchairs to enhance your time in the sun! What you do from your base on The Deck is completely up to you. 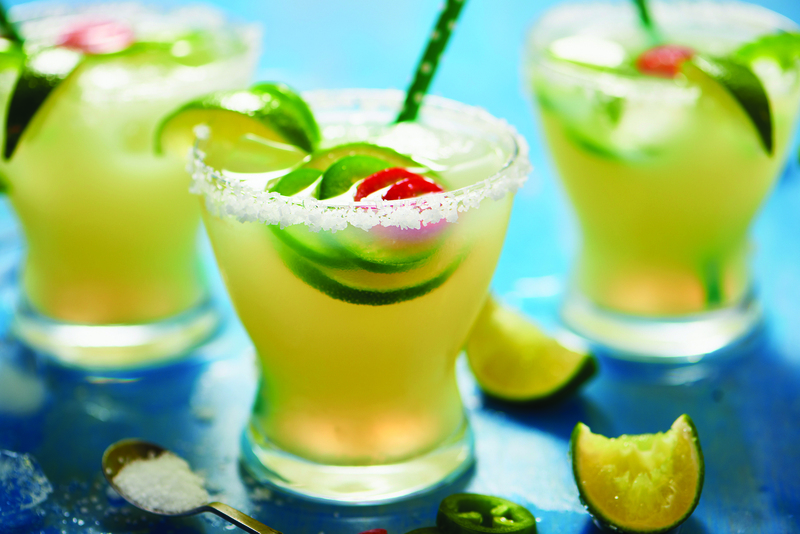 Tame your cravings with a delicious a-la-carte menu of tantalising light bites and sumptuous share plates; quench your thirst with one-of-a-kind cocktails by San Francisco-based mixologist and have it all ordered and delivered to you by My Fiji staff! When you’re finished feasting, splash into the infinity pool, snorkel over vibrant coral reefs or try out a range of incredible, complimentary water sports. Our guests have the opportunity to hire one of our 4 private cabanas especially designed for two. Look out over the ocean, stroll hand-in-hand on white sands or simply bask in the splendour of your private tropical surroundings. All My Fiji guests have exclusive use of our fluffy white beach towels while on the island and will receive a complimentary mid-afternoon Malamala Pop. These handmade icy delights are served as the flavour of the day and will cool you down before your cruise back to the mainland. Contact our My Fiji Holiday Experts or view our Fiji Experiences for more information now! A blissful retreat for our valued guests! 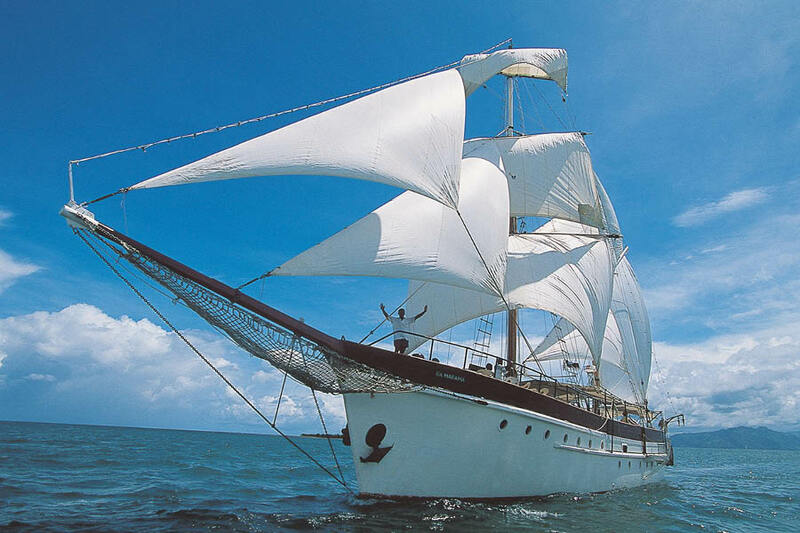 Set sail with My Fiji for an exclusive day of sun, fun and private-island paradise! Nestled into the stunning Mamanuca Islands, My Fiji Island (Tivua Island) is a sun-seeker’s dream and water-lover’s delight! 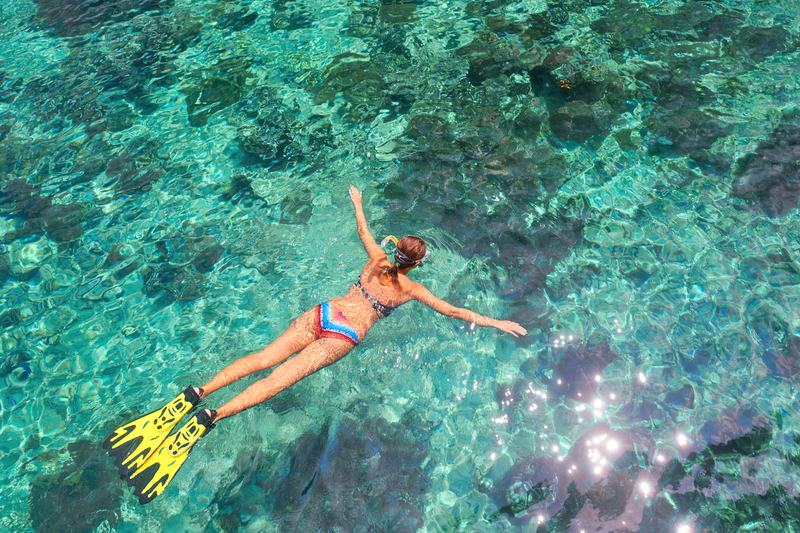 Soak up the best that Fiji has to offer.The My Fiji Island experience is the best way to see Fiji’s most popular group of islands, plus you can do it all without the crowds! Soak up the sun on the pristine white beach, snorkel or dive deep into vibrant reefs, eat, drink and enjoy authentic cultural entertainment. Do as little or as much as you choose—the day is yours to make it whatever you like! The My Fiji Island experience is truly one-of-a-kind. 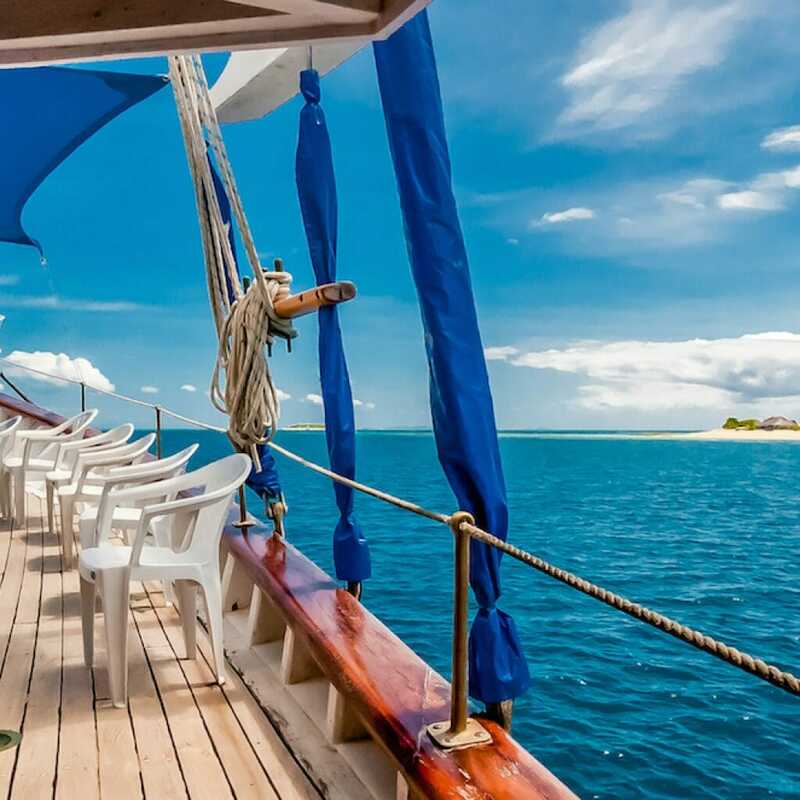 Embark from Denarau Marina on either the Ra Marama or the Spirit of the Pacific and be embraced by warm Fijian hospitality from the very first second! Travel in ultimate style. Enjoy incredible entertainment, a kava ceremony, afternoon tea and more en-route! Take in glorious views of Fiji’s stunning blue-green waters and feel the tropical breeze and salt spray brush over your skin. Kick back, relax and completely unwind. All meals, beer, wine, soft drinks, activities, entertainment and transfers are included, plus you can say that you’re part of an elite group of guests. This experience is exclusive to My Fiji only and cannot be purchased anywhere else! Culture waits off the beaten track! Embark on a Fijian adventure down the road less travelled on an Off-Road Cave Safari. Jump in and buckle up in the modern all-terrain vehicle for the journey to the largest cave in Fiji with a stop at the Bete’s (high priest) home. The priest’s family have been the traditional keepers of Naihehe Cave for many centuries and it’s said that if one enters the cave without seeking their blessing first, one will get lost. Your safari guide will present an offer of kava to the priest as a request for his blessing and guidance. Just a short walk away from the family’s home be guided through the historical phenomenon that is Naihehe Cave. Explore the 170m long cave before returning to the priest’s home for a barbecue lunch with fresh fruit and juices. A different type of water adventure! Explore Viti Levu’s longest river on a Sigatoka River Safari! Enjoy the 18-kilometre journey from Sigatoka Town into Sigatoka Valley and discover the luscious green environment known as the ‘salad bowl’. Jump aboard the jet boat and cruise along the freshwater passage, waving to local villagers along the way, before arriving at your host village. Enter the village and be welcomed with open arms and big smiles from the local villagers. Meet the village Chief in his home and partake in a traditional kava ceremony before he guides you through a tour of his village. Tantalise your taste buds with a sumptuous tropical Fijian lunch prepared by the women of the village before jumping aboard for the return journey! Short, sweet and absolutely perfect! Fiji holidays should be all about relaxation—island time should set the pace, schedules should go out the window and every moment should be filled with complete tropical serenity. But how do you do that when you’re working with limited time? The Half Day Island Chill tour is the answer to all of your problems! Cruise to a tropical paradise, experience unique Fijian culture, try water sports, snorkel and more. Fit it all in by lunch time and return to your resort in the early afternoon—get more out of your Fiji time when you tour with My Fiji! 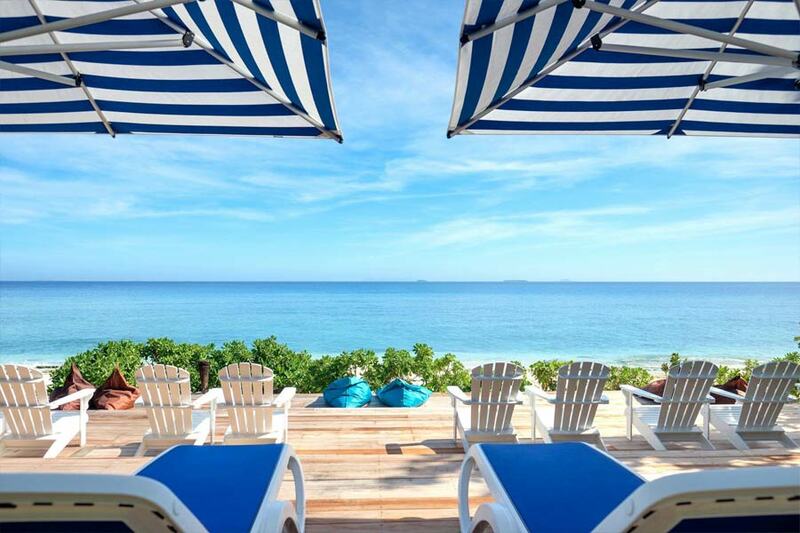 Think blue ocean waters as far as the eye can see, pristine sandy beaches and lush tropical greenery all around. 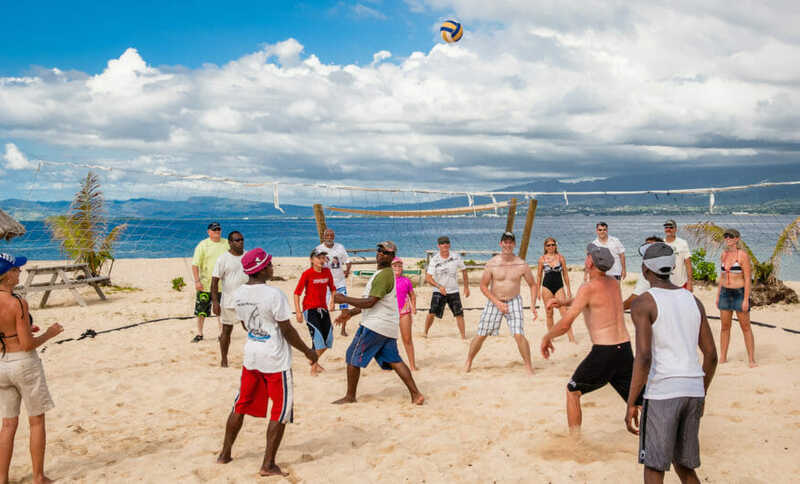 Add to that a handful of cultural activities, snorkelling, water sports and warm Fijian smiles and you have yourself half a day of pure island chill! This incredible, short but sweet tour is set on the stunning Robinson Crusoe Island. Located 30-minutes off the coast of Viti Levu, half way between Denarau Island and the Coral Coast, this is the perfect, convenient island retreat for all Fijian tourists. Embark on a Jungle Cruise early in the morning and arrive at 9am, just in time for a freshly baked morning tea. Spend the morning enjoy a range of activities—from weaving, caving and pottery demonstrations, to bush walks, water sports, a kids club and more! Your time on Robinson Crusoe Island is free to fill as you choose. Purchase massages, hair braiding, snacks, drinks and more, or simply set up on the sand and gaze upon the uninterrupted horizon from the shore! At 11am join a guided snorkelling or hand-line fishing trip. Explore vibrant coral reefs, below or above the surface and get to know the Fijian marine life on an experience you won’t soon forget. Resurface, dry off and board the boat back to the mainland just over an hour later. You’ll be home in time for afternoon activities at your resort, happy hour or the all-important post-midday nap! Half Day Island Chill tours operate every day. They are perfect if you have limited time or simply have too many activities to fit in. Note: tour operates daily. Some island activities are dependent on the weather. 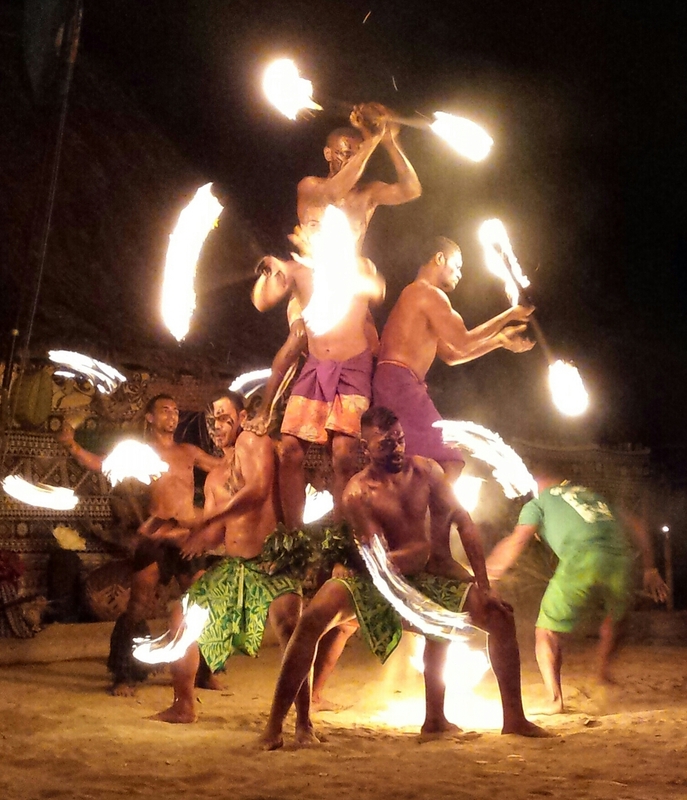 The most exciting dinner show in Fiji! Fiji’s sunset is one of the most beautiful things to behold. The sky is flooded with a rainbow of gold, palm trees start to sway in the evening breeze, there’s fire, music and one of the country’s most incredible feasts! That’s how it is on Robinson Crusoe Island anyway, so take to the water and cruise toward the horizon. Embark on this Sunset Cruise, Dinner & Show for an evening that you won’t quickly forget! 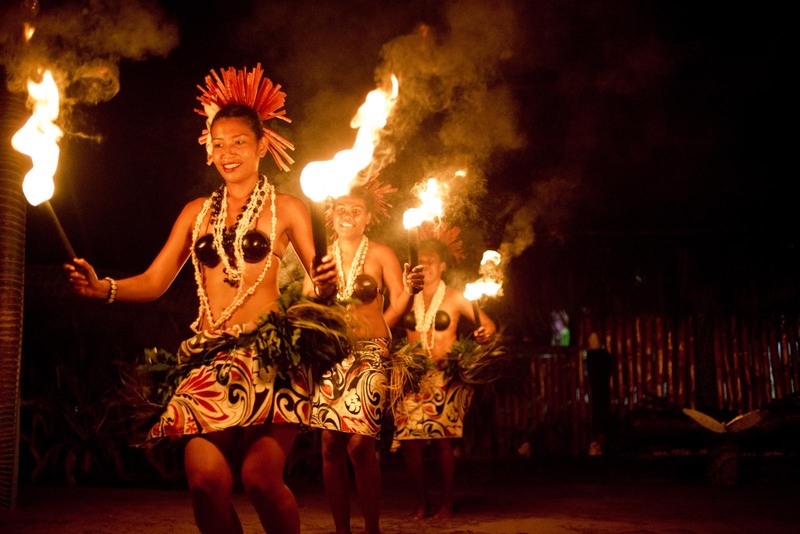 Learn about Fijian culture, witness exhilarating dances and be captivated from start to finish. It’s all possible when your tour with My Fiji! The night comes alive on Robinson Crusoe Island. Set just 30-minutes off the mainland, about half way between Denarau Island and the Coral Coast, this serene tropical island transforms and becomes the site of vibrant activity and incredible cultural feats. Fire lights up the shoreline as the stars fill the sky, string band music dances on the breeze and beaming locals stand poised ready to welcome you in! Join the fun or just sit back and watch—the choice is completely up to you! Start your Sunset Cruise Dinner & Show on a calm, picturesque Jungle Cruise. Enjoy a big “Bula” welcome, kava ceremony and briefing, then attend a beach bonfire singalong as you enjoy the last of the setting sun. This tour is the perfect way to appreciate vibrant South Pacific culture and learn more about Fiji’s historic rituals. Dinner comes in the form of a “lovo” (earth oven) buffet and guests can feast, watch firewalking demonstrations, fire and knife dances, acrobatic feats and more! A stomach ready to feast! Party on the platform of dreams! 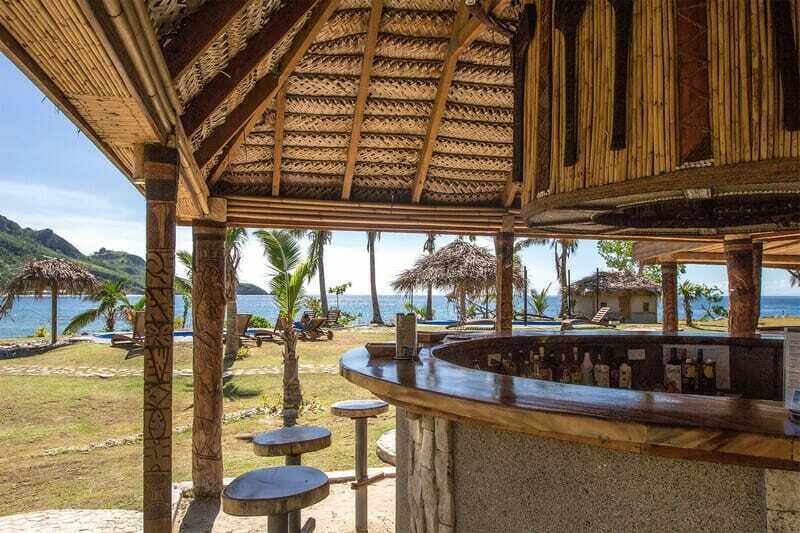 Cutting edge music fills the air, the bar is well stocked and you’re surrounded by the most fun-loving people in Fiji. Where are you? On Cloud 9 of course! Known as the ‘platform of dreams’, Cloud 9 is Fiji’s most exclusive floating bar and party lounge. Dance up a sweat to international DJs and dive off the edge to cool down—Cloud 9 floats two stories above the crystal-clear waters of the Ro Ro Reef and is the best way to satisfy your inner party animal, while still taking in the natural wonders of Fiji! Join the party when you discover Cloud 9! With constant tunes, drinks and fresh pizza pumping out all day, you’ll be able to sip and sizzle to your heart’s content. Catch your breathe on luxurious day beds, dive off the pontoon for a snorkel and, when you’ve recharged, get back up and do it all again! This incredible party experience runs from the morning to the early hours of night and will leave you with a smile, a tan and plenty of stories to take home! Fiji, the heart of the South Pacific region, boasts white-sand, palm-fringed beaches and crystal-clear lagoons. It is no wonder why it has been ranked among the world’s best tropical islands and why it’s considered the happiest place on Earth. 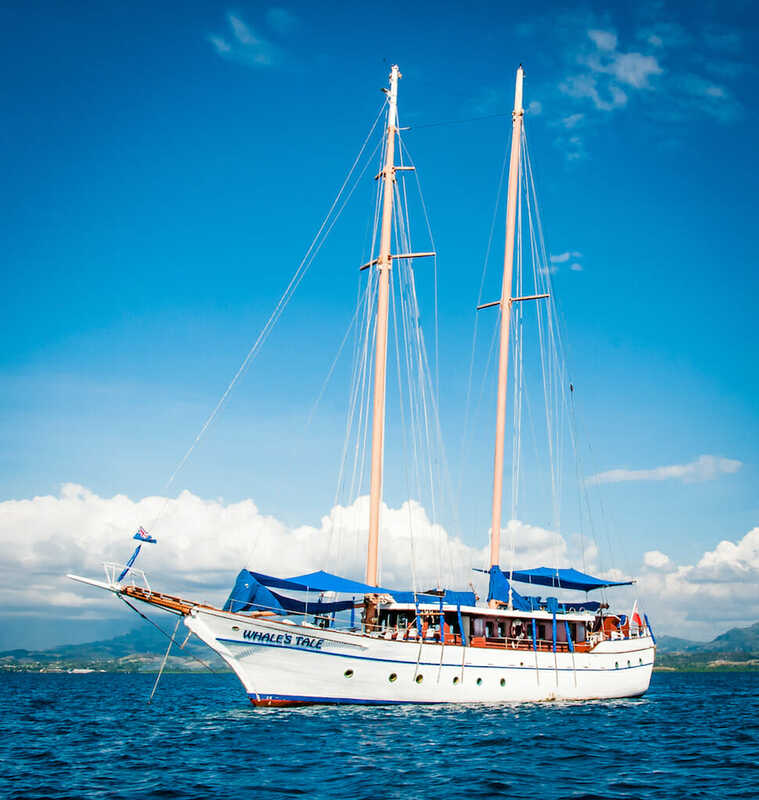 What better way to explore the best of Fiji than by going on a day cruise with Whales Tale! Take in the natural wonders of Fiji as you cruise the islands of the Mamanuca group. The ship sails from Port Denarau and your journey starts with a refreshing glass of champagne and continental breakfast. The real adventure begins with a Kava ceremony, where participants will sip Fiji’s signature ceremonial drink—an epic cultural experience! Become filled with awe as you observe the stunning coral reefs from a glass-bottom boat and snorkel in the turquoise waters. For an extra fee, you can also go on an assisted scuba dive to see Fiji’s most bountiful marine life. Come back ashore for a delicious lunch after working up your appetite. The afternoon is all yours for more fun activities, such as fishing, kayaking, swimming, beach volleyball or just soaking up the sun and feeling the sand between your toes. For a small fee, indulge in a massage or beauty treatment by a local professional trained in the art of relaxation. 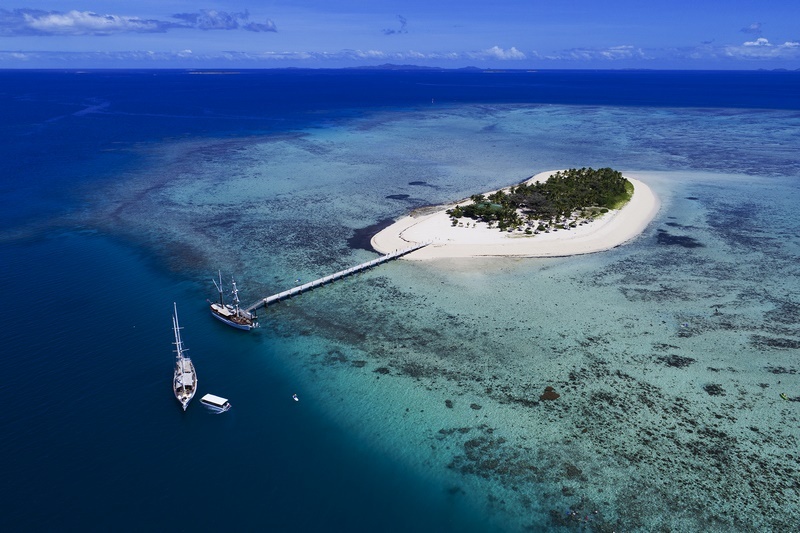 Once you’ve finished touring Schooner Island Paradise in its entirety, sail past the stunning Malamala Island, South Sea Island, Bounty Island and Treasure Island! NOTE: All cruises and transfers are subject to sea and weather conditions. Should adverse conditions prevent operation, the client is responsible for their own additional accommodation costs.